One of the phrases I learned to say in Bulgarian last night. It was 9p.m. and I had finally decided on plans for the following day (Saturday). I’d get up for the 8:30a.m. bus to Veliko Tarnovo and stay there for two nights before moving on to Romania (who’s going to Transylvania? THIS GIRL!). I booked the hostel there and debated whether the clothes I was already wearing would be good enough to sleep in. And we’re off. Girl with an accent, girl with an accent, hostel staff member, boy… Without an accent. And he notices, too. Well, you’re here too, aren’t you? What are you up to? We’re led to a local bar, open for the first night of the season – it’s closed during the summer – and we all grab a booth. The ordering is strictly in Bulgarian and I just say “same” when I hear “vodka and coca-cola.” I haven’t ordered that, ever. We talk about home, travel, differences. CA boy and I will talk all night long but he and gorgeous accent girl share a twin hostel bed (her booked one would actually rescue me from snores in my room later). They are the cutest pair, teasing when one improperly speaks the other’s language, or misinterprets humor. She leaves us for awhile, comes back with a pack of mini cigars. “I don’t smoke, I just wanted us all to share something.” For not being smokers, she makes a far sexier smoker than I. The talk is fantastic. Cute accent girl w/ CA boy is actually Bulgarian. They teach me hello, goodbye, thank you, beer. 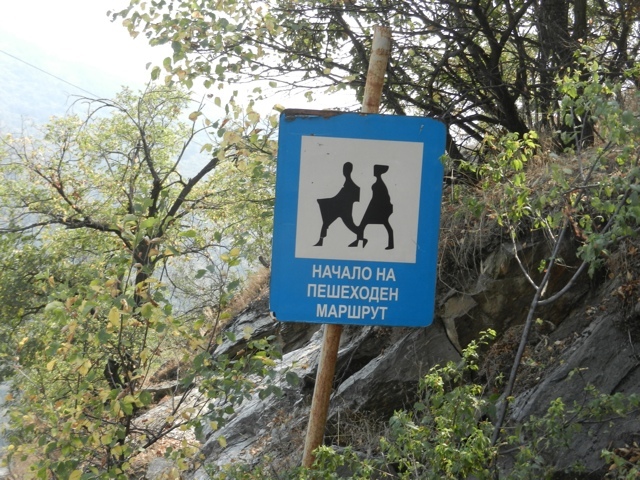 I learn funny Bulgarian quirks (try nodding your head to say no… That’s just the start). They say I can’t leave tomorrow, not before Plovdiv’s massive one night only art and museum festival. I’m staying in Plovdiv. I’ll sleep later than the bus and hope there’s a spot available for me. If not, I’ll sneak in late and sleep on the vacant bed of this cute (adorable) couple. The table cheers at this decision. Girl from Germany (I know names, I just don’t blog names) and I start looking at the crowd, debating whether this place is a place appropriate for dancing. CA looks at me. (Im in a gray tank and my black long skirt) Do I look like I’m dressed to land Bulgarian men? I didn’t even bring makeup to Europe. Hah! I don’t need makeup to pick a Bulgarian dude up. The words barely were out of my mouth and I was laughing at the absurdity of that statement. I said it like I was accepting a challenge. What conceit. What confidence. What am I talking about and where did that come from? Just laughed loudly in my bunk bed. Can’t properly blog the “supposed to channel this confidence for climbing mountains, not men” joke that just popped in my head. That said, saw this sign today. Watch out for men with massive erections. On our way back from the bar, we grabbed sandwiches, and when two Americans came against two European girls insistent on sitting and eating versus our walking, I taught the Bulgarian girl a new word. And cracked up as she repeatedly smiled and called him a “tacky American” the rest of the night. Making cents and sense… Making change. hey! who stole my sign?! haha… “tacky American”… love it! Miss you but love reading about your adventures! I LOVE THAT SIGN! AND MAKING UP SIGN CAPTIONS!